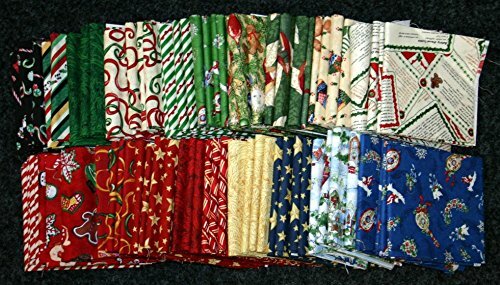 Christmas 2 Cotton Quilting Fabric Fat Quarters Assorted Colours - per pack of 4Product Information• Brand: Minerva Crafts• Quantity: per pack of 4• Colour: Assorted Colours• Composition: 100% Cotton• Size: 45cm / 18" x 50cm / 20"• Washing Instructions: Washable at 40 degrees• Weight: MediumPlease allow 10% shrinkage for all fabrics to be on the safe side. For all fabrics wash before making up in the same manner as you would with subsequent washes (including drying methods). If you are in any doubt about care instructions please always test a sample first to find the most suitable way to wash your chosen fabrics, as we cannot accept liability for fabrics washed or treated incorrectly. 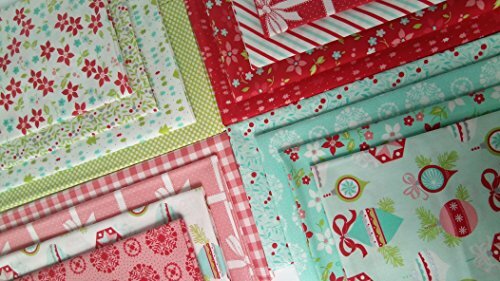 Merry Xmas Cotton Quilting Fabric Fat Quarters Assorted Colours - per pack of 4Product Information• Brand: Minerva Crafts• Quantity: per pack of 4• Colour: Assorted Colours• Composition: 100% Cotton• Size: 45cm / 18" x 50cm / 20"• Washing Instructions: Washable at 40 degrees• Weight: MediumPlease allow 10% shrinkage for all fabrics to be on the safe side. For all fabrics wash before making up in the same manner as you would with subsequent washes (including drying methods). If you are in any doubt about care instructions please always test a sample first to find the most suitable way to wash your chosen fabrics, as we cannot accept liability for fabrics washed or treated incorrectly. Amy Butler Fat Quarter Fabric Pack - per pack of 4Product Information• Brand: Minerva Crafts• Quantity: per pack of 4• Composition: 100% Cotton• Size: 50cm / 20" x 55cm / 22"• Washing Instructions: Washable at 40 degrees• Weight: MediumPlease allow 10% shrinkage for all fabrics to be on the safe side. For all fabrics wash before making up in the same manner as you would with subsequent washes (including drying methods). If you are in any doubt about care instructions please always test a sample first to find the most suitable way to wash your chosen fabrics, as we cannot accept liability for fabrics washed or treated incorrectly. 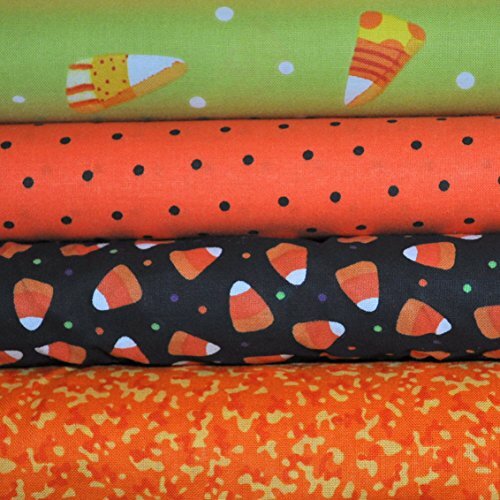 This is a precut bundle of 4 half yard cuts, 2 yards total. The fabric is 100% cotton, and the colors coordinate perfectly. 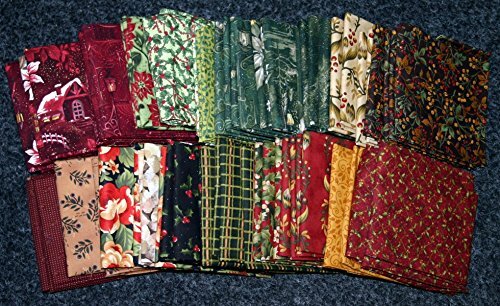 This bundle would be great for small quilts, clothing, bags, table runners, and so many other ideas. We also have this group available in 1/2 yard cuts. Just purchase 2 bundles to receive full half yard cuts. 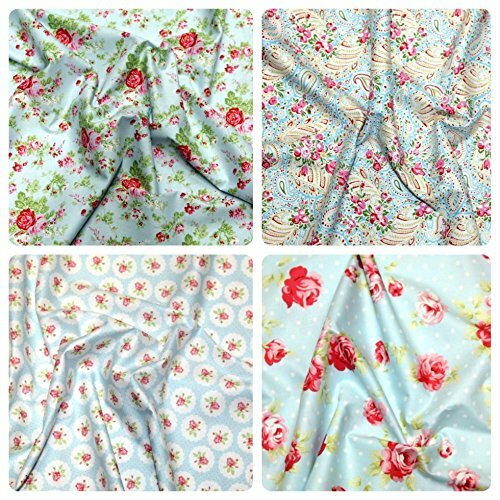 Tanya Whelan Lulu Roses Fat Quarter Fabric Pack - per pack of 4Product Information• Brand: Minerva Crafts• Quantity: per pack of 4• Composition: 100% Cotton• Size: 50cm / 20" x 55cm / 22"• Washing Instructions: Washable at 40 degrees• Weight: Medium• Pattern: FlowersPlease allow 10% shrinkage for all fabrics to be on the safe side. For all fabrics wash before making up in the same manner as you would with subsequent washes (including drying methods). If you are in any doubt about care instructions please always test a sample first to find the most suitable way to wash your chosen fabrics, as we cannot accept liability for fabrics washed or treated incorrectly. 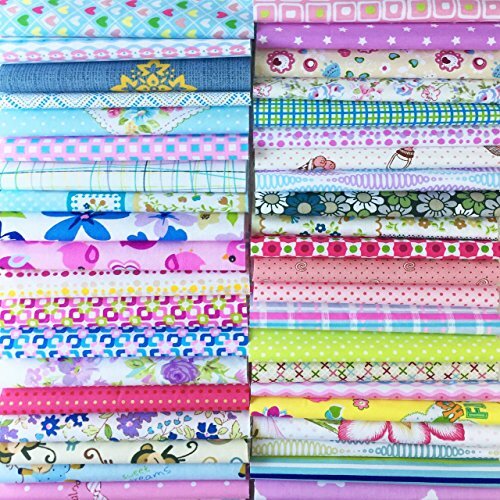 This is a precut bundle of 4 fat quarters (18" x 21"), 1 yard total. The fabric is 100% cotton, and the colors coordinate perfectly. 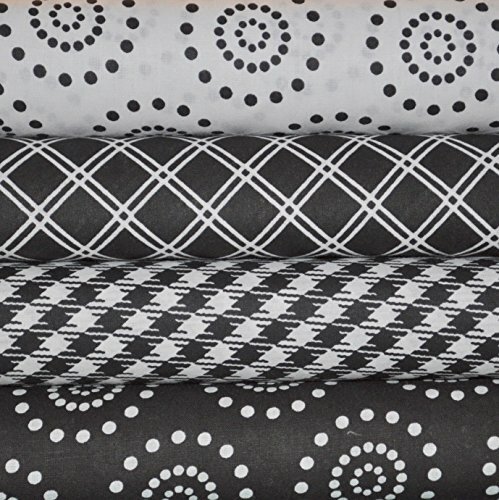 This bundle would be great for small quilts, clothing, bags, table runners, and so many other ideas. Multiple purchases will be cut as one piece. 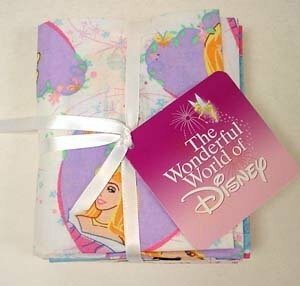 Looking for more Fabric 4 Fat Quarters similar ideas? Try to explore these searches: Heat Deer Call, Adler Mirror, and Recon Value Pack. Look at latest related video about Fabric 4 Fat Quarters. Shopwizion.com is the smartest way for online shopping: compare prices of leading online shops for best deals around the web. 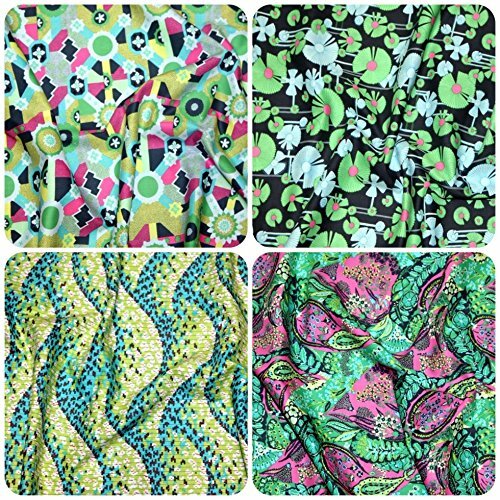 Don't miss TOP Fabric 4 Fat Quarters deals, updated daily.